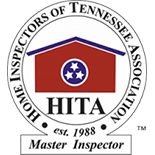 Safety 1st Home Inspection in Knoxville can provide you with thorough well water inspection services along with standard home inspections in order to help you make the best possible decision when you are trying to purchase a home. The EPA does not regulate private household wells or the buying or selling of homes, which means that there are no EPA testing requirements for wells. However, the buyer’s lending agency may require that well water pass a water quality inspection in order to check for bacteria, nitrate, and lead prior to approving a loan. Some state drinking water agencies may require well testing prior to sale. The National Ground Water Association (NGWA) recommends well owners test their water at least once per year for bacteria, nitrates, and any contaminants that may be an issue in your area. There is a change in the taste, odor, or appearance of the well water, or if a problem occurs such as a broken well cap, inundation by floodwaters, or a new contamination source. Family members or house guests have recurrent incidents of gastrointestinal illness. Call us today to schedule a home or well water inspection today.